Don’t try to rush your study. Many people just take a quick glance through the handbook and hurry in to take their test. The more thorough your study, the more prepared you will be to answer any question that is thrown your way. Knowing the driving laws in your state will not only help you pass the test, it will also help you avoid tickets since you’ll be educated on the current laws. There are several study aids available to help you succeed on your permit test. Take advantage of online flashcards and study questions. Defensive driving courses can also help you learn critical driving skills and practices that will help you succeed even beyond the written test. You’ll typically learn faster if you don’t study in isolation. Find a friend or a family member who can help you study. Consider asking a seasoned driver for help. Not only will they have some great tips, but they may benefit from reviewing the latest driving laws along with you. From their driving experience, they’ll be able to tell you which laws are most critical and might have some tips when it comes to taking your permit test. When you can verbalize the answers to questions and teach another person, your comprehension and understanding grows. There are some great resources to help you see some common questions on the test in your specific state. Take some practice tests and familiarize yourself with some of the most commonly asked questions. For example, one question on the test in Texas might be a fill in the blank with the following question: Cars parked on the side of the highway at night should show________. 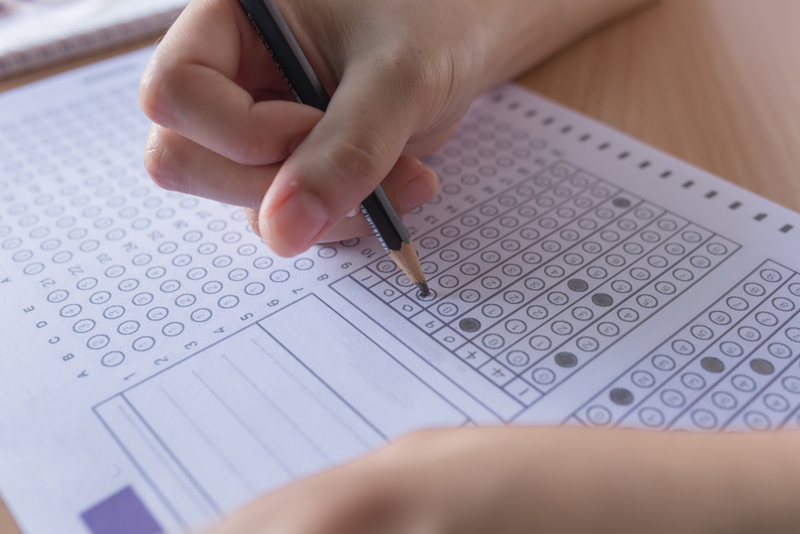 The answer is “parking lights.” Understanding some of the questions that might get asked in your specific state will help you prepare and go into the test at ease. The main reason people struggle with the driving test is that they simply get nervous and their memory and critical thinking skills suffer. Do some deep breathing and remind yourself that you’ve studied and prepared to the best of your abilities. Take confidence in your abilities and just do the best you can. If you don’t pass the first time, you can retake the test. Use the test as an opportunity to show what you know and solidify the knowledge you already have. If you’ve prepared beforehand, there’s no need to be nervous.